While coffee doesn't contain cholesterol, it does contain a compound called cafestol that can raise your level of LDL, the "bad" cholesterol. But before you dump out that pot of java you've brewed, just wait. You can eliminate cafestol in your coffee by brewing it with paper filters, which absorb the cafestol. The benefits and risks of coffee consumption have long been in flux. According to Dr. Donald Hensrud, a preventive medicine specialist at the Mayo Clinic, for most people the benefits of drinking coffee seem to outweigh the risks. The risks include the possibility of elevating your cholesterol level by drinking coffee. As Hensrud puts it, "high consumption of unfiltered coffee is associated with mild elevations in cholesterol levels." As Dr. Ray Sahelian notes, caffeine is a stimulant that can increase your blood pressure and increase the risk of heart rhythm abnormalities. Moderate to high amounts of coffee consumption have also been associated with an increase in inflammation, which could explain earlier studies linking coffee and heart disease. Risks for light coffee drinkers may also exist. A study led by Dr. Ana Baylin and published in "Epidemiology" in 2006 found that coffee triggered a heart attack in study patients within an hour of consumption, especially among light coffee drinkers, by causing a short-term spike in blood pressure. A light coffee drinker was defined as someone who drinks up to one cup a day. It should be noted that the study subjects who had heart attacks were also sedentary and had other cardiovascular risk factors. The Mayo Clinic's Dr. Hensrud notes studies have shown coffee may help protect you from Parkinson's disease and Type 2 diabetes. It has a high amount of antioxidants, which can help protect you from heart disease. 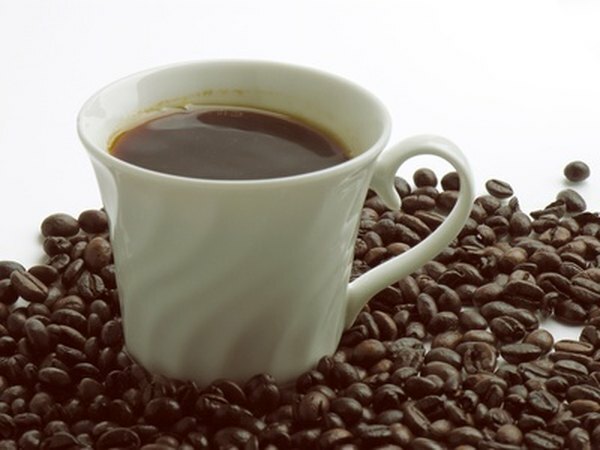 A Japanese study led by Toru Naganuma and published in the December 2008 edition of the "American Journal of Epidemiology" found coffee may lower the risk of mouth, pharyngeal, and esophageal cancers. Researchers have said that cafestol is the most potent cholesterol-elevating agent that has yet been discovered. In a report led by Dr. David Moore and published in the June 2007 issue of "Molecular Endocrinology," researchers found that drinking five cups of unfiltered French press coffee for four weeks elevated LDL, the "bad" cholesterol by 6 to 8 percent. Decaffeinating coffee doesn't remove cafestol. In fact, most decaf coffee actually contains caffeine, usually 10 to 20 percent of the caffeine in regular coffee, and can produce the the same side effects. Fortunately, brewing coffee with paper filters does remove cafestol from either regular or "decaf" coffee, according to the Moore study. Caffeine has no nutritional value, according to the Pritikin Longevity Center, and it is mildly addictive. It may stimulate the production of stomach acids, increase pressure in the eye and interact with other medications. Coffee consumption can cause anxiety, restlessness, irritability and sleeplessness if you drink a lot of it or are particularly susceptible to its side effects.